Don’t average down – it’s running your losses instead of cutting them. This feels like a post that could have been written entirely in quotes. Almost every famous investor has at some time or another warned against averaging down. When a stock goes down, the right thing to do is sell it (see Cut Your Losses for more detail). But some people do the opposite and buy more – they average down. The practice gets it’s name from the fact that the average cost of your holding reduces when you buy more stock at a lower price. Let’s say you bought a thousand shares at £3 each, and then another thousand after the price had fallen to £2. You now have two thousand shares that have cost you £5,000 in total, for an average cost price of £2.50. This feels like you’ve lowered your risk, since the current price is now only 50p below your cost price, rather than £1 below. But of course you now hold twice as many shares, so your loss to date is the same (£1,000) and in fact your risk is now doubled – you have a £4,000 position rather than a £2,000 position. The logic of averaging down is flawed, as Jesse Livermore pointed out. If you buy more at £2, then you should buy even more at £1.50 and then again at £1. As a stock collapses towards zero it should form an ever greater proportion of your portfolio, losing you more and more money. You should add to positions that are going your way (pyramiding) not those that are moving against you. 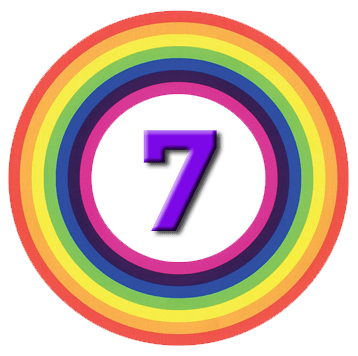 Averaging down is a form of the Martingale strategy, the “must win” double-or-quits method for roulette that every child seems to discover for themselves. In the Martingale, you bet on black and if red comes up, you double your bet on the next roll. If red comes up again you double again, to 4 times your original stake. You keep doing this until black turns up, at which point you are ahead by your original stake. The problem – ignoring table limits, and the effects of the green cups on the wheels – is that there will eventually be a sequence of red so long that you don’t have enough money to make the size of bet you need. At which point you are bust. This is the roulette equivalent of the famous quote from Keynes that the market can remain irrational longer than you can remain solvent. The Martingale is in effect a sure way to end up bust – you just don’t know how long it will take. Investors average down because it is psychologically difficult to admit that you are wrong, especially when it involves losing money. You back a stock but the market disagrees and the price goes down. You remain convinced that you’ve made a good decision, and to show the market who’s boss, you buy some more. But the market doesn’t care about you, and the stock can continue to fall. You might think that if you don’t sell, you don’t take the loss. But that is wrong – your portfolio is worth what you can get for it in the market, and you’ve already taken the loss. The only time that averaging down is a good idea is when you know something that the market doesn’t. And how often is that likely to happen? Averaging is bad trading discipline, goes against momentum and the market, and increases the risk that you will become emotionally attached to a stock, and be unable to sell it in the future. It also creates an implicit desire to “come out even” – you have lowered your average cost per share so that you can get back to break-even more quickly. This means that even if the stock price does recover, you will probably sell as soon as you are ahead, rather then holding on to make big money. This in turn makes the risk profile of averaging down unattractive – at best you will break even, and at worst you will lose a lot of money. Averaging down is something that technical and short-term traders are unlikely to do. They will normally be using a stop-loss, and will be out of the stock when the price drops. But averaging down is attractive to long-term, contrarian and value investors. The idea is that if something is good value at £3, then it’s even better value at £2. Benjamin Graham established the principle that downturns were good times to buy stocks at “discount prices”, and Buffett has expressed similar views. There is some truth to this, and if you are an experienced and successful value investor you may feel confident enough in your judgement that a price drop is temporary rather than a reflection of a serious problem. But few of us fall into that category, and even then you could be waiting a long time for your profits. There could be better uses for your money in the meantime. And in any case, buying things that are cheap is not quite the same as throwing good money after bad. 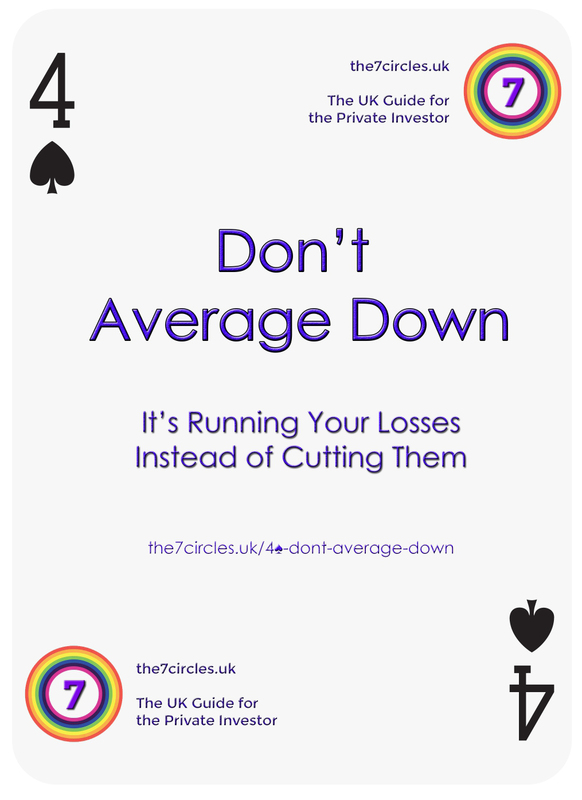 So don’t average down – it’s running your losses instead of cutting them. Cut your losses, and let your winners run.